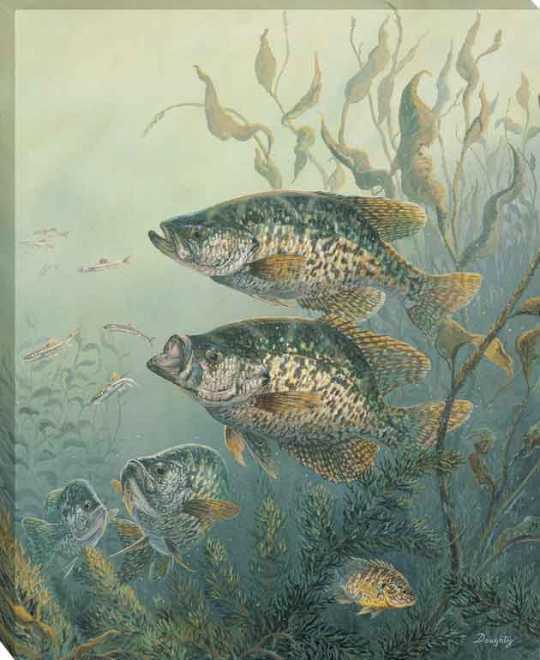 Black Crappies by Terry Doughty. A school of black crappies surrounded by underwater vegetation. This picture is a gallery canvas wrap. We are a wholesale art manufacturer and supplier to the trade only.